2112, Tokyo. In this visual novel, decide the fates of Nadeshiko Kugatachi and Takuma Tsurugi, two new detectives assigned to Division 1. Every decision has its own repercussion, victims can become criminals, and the story may end quicker than expected. Will there be a spot for you? 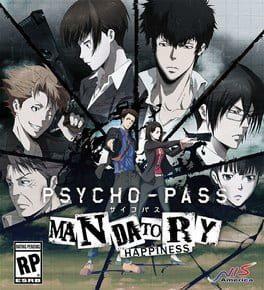 Psycho-Pass: Mandatory Happiness is available from 19.29 to 22.19 from 1 shops.